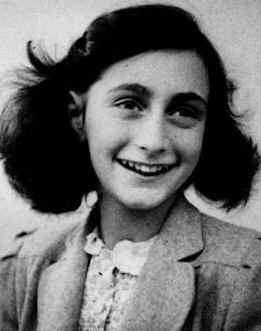 Anne Frank and her diary are a symbol of the Holocaust, but many other children also went into hiding and some survived World War II. Anne Frank has become both a symbol of the Holocaust and of the city of Amsterdam, attested to by book sales, film rights, and an annual figure of over one million visitors to the Anne Frank house on the Prinsengracht. Yet the story of Anne Frank is not the definitive Holocaust story. An estimated 28,000 Jewish people living in the Netherlands were forced into hiding during WWII. Of this number, an estimated 16,000 people survived the war years, avoiding the concentration camps responsible for the deaths of an estimated 75% of the Dutch Jewish population during the 1940s. As a child, Marcel Prins became familiar with the story of his mother, Rita Degen (77), who at the age of five was separated from her family and hidden in the homes of non-Jewish families. Later, it was his mother’s story that motivated him to embark on a research project seeking other Jewish people with similar childhood experiences. Collaborating with Peter Henk Steenhuis, the project encountered individuals who agreed to have their stories made public, initially on a website (www.hiddenlikeannefrank.com) and later in a book entitled Hidden Like Anne Frank, recently released in English. Hidden Like Anne Frank contains the personal accounts of 14 Dutch Jewish people, who like Anne Frank, hid from the Nazis during World War II, but unlike Anne, survived. All fourteen individuals were children when they were separated from their parents and siblings and concealed, sometimes with a frequently changing roster of strangers and sometimes with non-Jewish family members or friends – who had agreed to protect and hide the children from the German soldiers. It was a time of uncertainty, loss and fear that forever shaped the lives of the survivors. From 1941, Dutch Jewish people over the age of six where required to identify themselves by prominently wearing a yellow star inscribed with the word ‘Jood’ on their clothing. Obviously when a Jewish person went into hiding, the yellow stars were removed. Next, new names were given, personal stories discarded, new stories created, appearances were often changed, and behaviours modified to camouflage the person into the non-Jewish society. Attachment theorists have provided strong evidence of the correlation between childhood attachments and adult capacity to create and sustain good relationships. Adversely, a child removed from a loving supportive home and placed, over an extended period, in a stressful environment risks developing problems with future close relationships. This phenomenon is evident throughout many of the stories in the book. It is almost 70 years since the end of WWII yet the memories are still fresh for many survivors. Rose-Mary Kahn (89), daughter of the previous owner of Hirsh (a large clothing store on Leidseplein in Amsterdam), claimed that going into hiding ‘was the worst time of my life’. Like many Jewish people who survived the war, the time of liberation was not the end of the suffering for Rose-Mary’s family: their home was occupied; the family business destroyed; and they were given little assistance by the Dutch government who considered the Jewish survivors to be ‘an administrative nuisance’. Jack Eljon says that even now, he still becomes anxious at the sound of heavy footsteps approaching. Feeling towards the German soldiers was surprisingly tolerant. Some survivors felt that the soldiers were forced into their role, often themselves only children blindly following orders. Jaap Sitters (80) identified a more human side to the soldiers with his account of being discovered by a German soldier as he hid in a cupboard. The soldier closed the cupboard door and left the house crying, leaving Jaap in his hiding place. For others the anger lingers, as admitted by Jaap’s daughter, who spoke of being angry for many years at the persecution of the Dutch Jewish people, and the suffering her father had endured as a child.